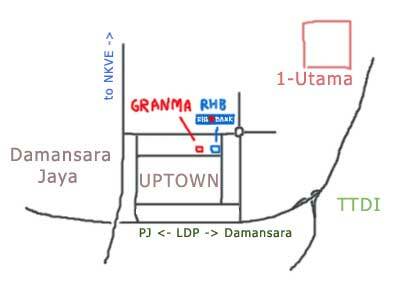 Hunting for a simple and pleasant place for dinner, my buddy Kenneth suggested Restaurant Grandma Kitchen Cafe at Damansara Uptown. I just have to try it since the dude said this place serves the “xiao long bao” (小龙包) in a particularly interesting way. the LMF is there too. Though Uptown is notorious for having a horrendous parking situation, we didn’t find much trouble putting away the car legally since it was at night. Your luck might vary. 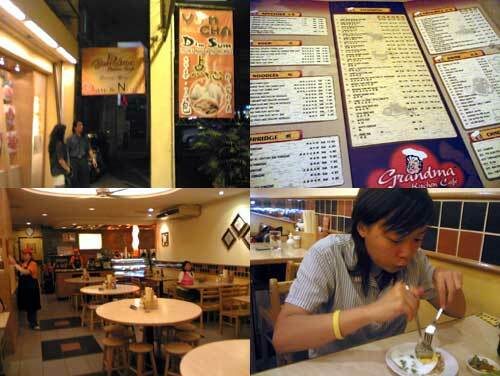 The restaurant is located just a few shops next to RHB bank. The decoration is simple but pleasant. 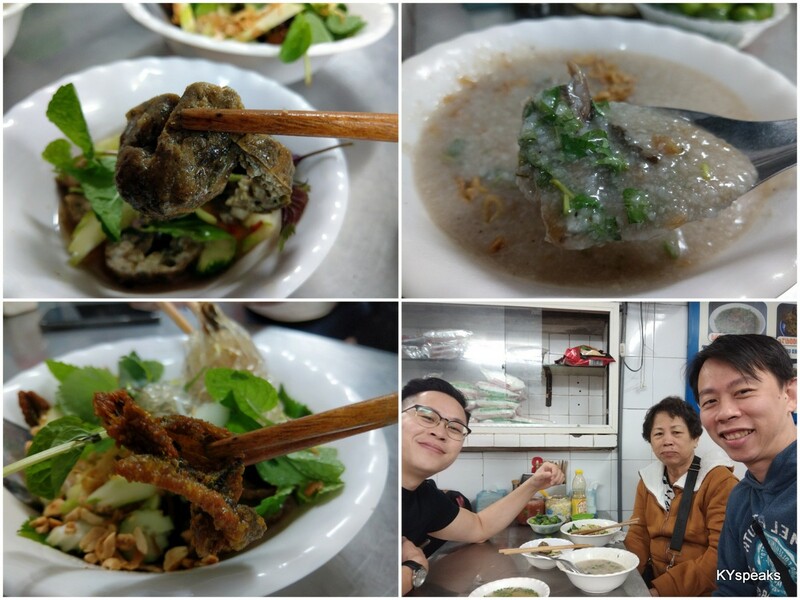 There are plenty of choices to choose from, cook-to-order dimsum, fried rice, noodle, and various other local dishes to go with steamed rice as well. 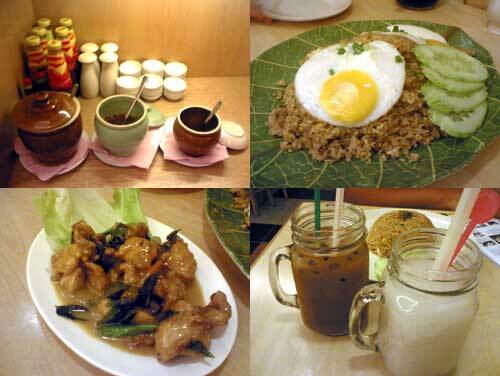 Once I spotted the Petai Seafood fried rice on the menu, the choice is simple. I ordered that and the famous “101” premium juicy dumpling (the xiao long bao). 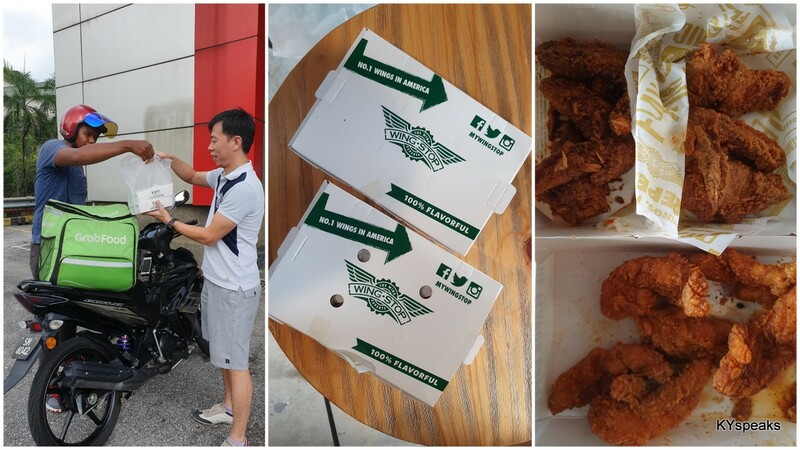 The other noobs ordered Tomyam seafood fried rice and a plate of butter chicken with curry leaves. 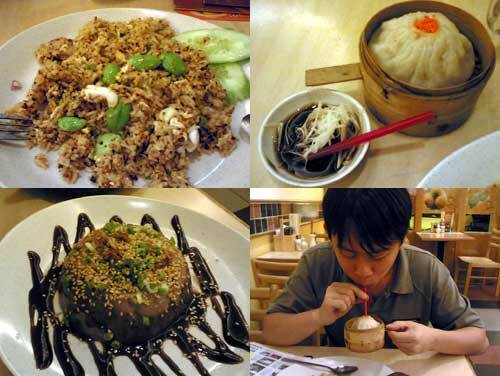 The fried rice costs RM 6.80 per portion, and the excellent xiao long bao RM 3.80. Drinks are priced pretty reasonably at RM 2.30 to RM 4+. Overall a pretty good value for the food and environment. Will definitely go there again. that xiao long bao doesn’t seems to be small at all. Not too keen on the service there. Tortoise speed. I went there twice when it was relatively quiet, didn’t have a problem then. Perhaps they’re really too slow during rush hours. ky, suggestion. it would be great if you could include whether the place you eat at are halal or not. because most yummy eateriesyour go to have chinese-ish names and don’t know whether i can enjoy it as much. would be a real downer if i went all the way there and then realise i can’t eat there. thanks! the SLP was better than dragon-i. didn’t see u ordering them! Has it closed down? i used to love it..but its not there anymore. know where it went? ooo sorry to hear that. 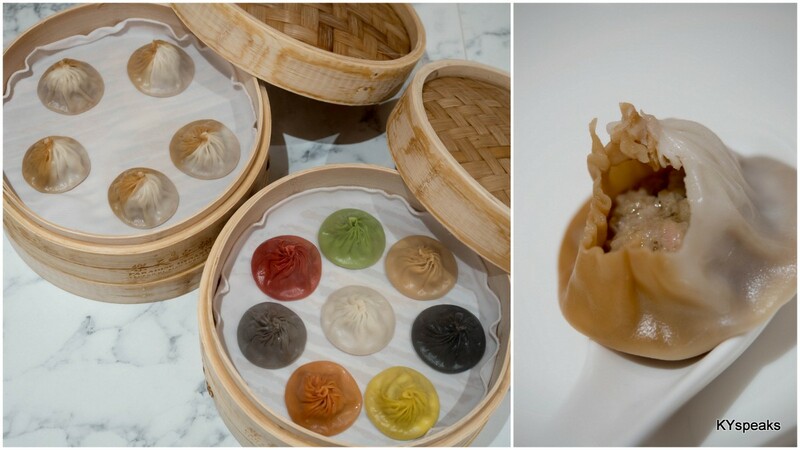 Do you know anywhere with good reasonably price dim sum? like grandma’s kitchen?